We at RevitMart believe in and provide accurate and affordable clash detection services and resolution coordination with the help of our expert team that have years of experience in the construction industry. With the help of clash detection techniques, we have saved our clients hundreds of thousands of dollars. This is one of the reason our clients love us! We work with all latest industry softwares as desired by our clients. We are capable of issuing same day clash reports with detailed list of areas of conflict and possible solution based on our design and construction expertise. Our pre-construction coordination services helps reducing the amount of change orders during construction to minimize the possible risk of human error during design phase. Here are some of the services included in our clash/ coordination detection services. RevitMart can understand the need of the various types of clients including architects, designers, contractors, sub-contractors, developers and building owners. Here are some of the main advantages of choosing RevitMart for clash detection services. Our clash report includes time-based clashes that can offer information about every static package involved in the clash. The report helps project management team to make adjustments in the schedule of the project. With the custom clashes, the expertise of users can create custom tests that can be used by everybody on the team for project development. 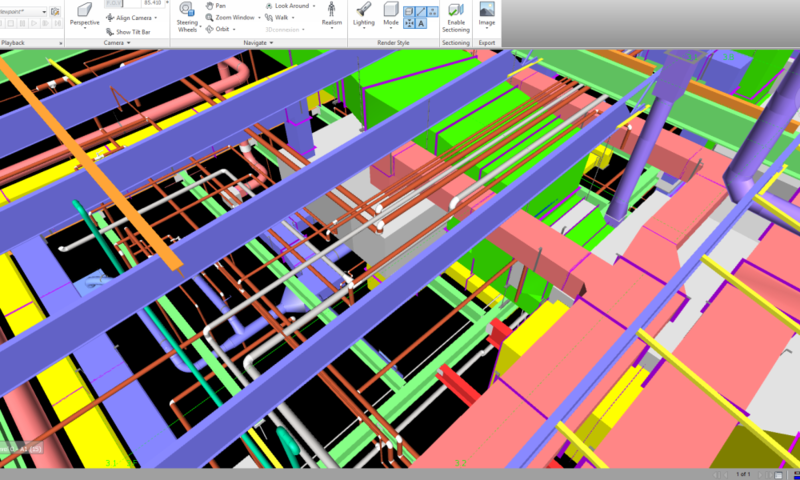 Clash software can also be used even after the completion of project design as well as during construction. The main aim of RevitMart is nothing but to provide clash detection services that ensures identification, inspection and reporting of interference between different trades in a BIM project.